Bear with me as I begin with a hypothetical to create a journalistic analogy, before I get to the USGS study. Could you imagine sensational news coverage of a United States Geological Survey (USGS) study that found high numbers of dead canaries in Appalachian coal mines, but failed to report on or investigate the health risk to miners – other than from eating canaries – the adequacy of governmental regulatory oversight, and the compliance history of the coal mining industry?? Would that reporting pass the straight face test? Well that’s just what the Bergen Record did in recent stories on a USGS study that documented dual sexed fish in the Wallkill River and Great Swamp. Those “alarms” raised by the study sure were rapidly quelled. Instead of doing followup reporting on the implications of that USGS study, the Record quickly moved on and found a shiny new and politically safe object to entertain readers: the Claude Rains act in a series of stories (3 so far) regarding EPA’s failure to disclose – for 3 months – detected concentrations of the chemical 1, 4-dioxane in groundwater at the Ringwood Ford Superfund site. The New Jersey Department of Environmental Protection knew in 1994 that a building that later housed a Gloucester County day care center was so dangerous that state inspectors were instructed to use respirators when entering the building, according to an internal memo obtained by The New York Times yesterday. The [DEP] internal memo, dated Oct. 12, 1994, said “Level C at a minimum is required for entry into the building,” meaning respirators were required, said Bill Wolfe, a former department employee who is the director of New Jersey Public Employees for Environmental Responsibility, a watchdog group that provided a copy of the memo. Mr. Wolfe said that the department should have at least notified the center’s operators about the building’s potential dangers. Now DEP Asst. Commissioner Kropp was not fired for those outrageous remarks – no, she was promoted and was Christie DEP Commissioner Bob Martin’s Deputy Commissioner and enforcer of his DEP “cultural change”, “transformation” and deregulatory initiatives. 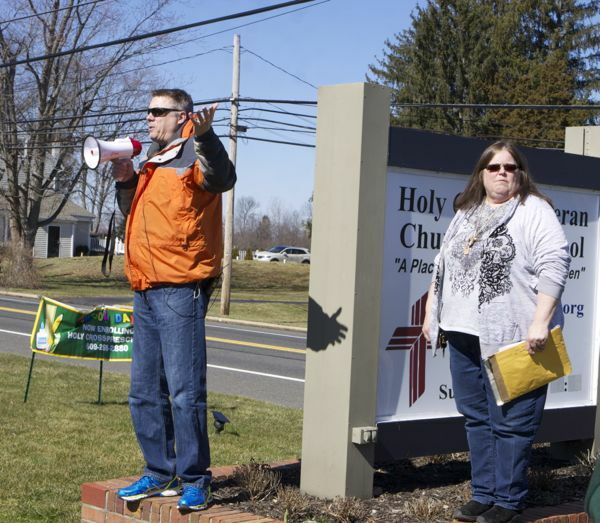 Kropp retired recently amidst ethics complaints growing out of the Fenimore landfill scandal. This lack of skepticism and naiveté by Record reporters is extremely revealing, and it explains why they so often take EPA & DEP press releases and statements at face value, as if government did not intentionally hide and spin information to downplay risks, protect polluters, and spin to cover their own asses. You can be exposed to 1,4-dioxane in tap water. Current levels of 1,4-dioxane in water are not known. In the 1970s, the level of 1,4-dioxane in drinking water was 1 microgram per liter of water (1 µg/L). Your skin may come into contact with 1,4-dioxane when you use cosmetics, detergents, and shampoos containing 1,4-dioxane. During 1992-1997, the average concentration of 1,4-dioxane in some cosmetic products reportedly ranged from 14 to 79 mg/kg. In a more recent survey reported by the Campaign for Safe Cosmetics, the levels of 1,4-dioxane in cosmetic products were found to be lower (1.5-12 ppm in baby and children’s products and 2-23 ppm in adult products) than in the survey done by the FDA in the 1990s. 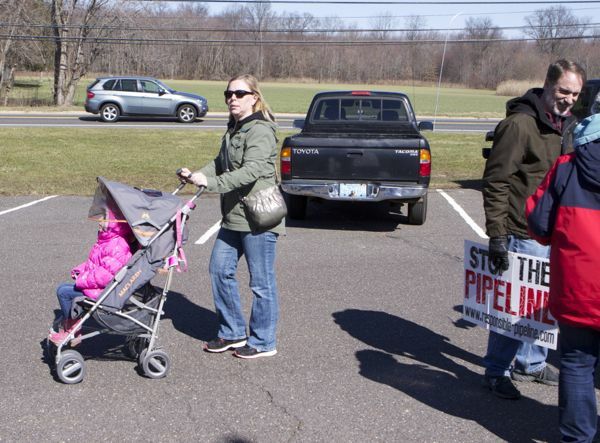 The Record did a followup on this non-story, giving water officials and corporate polluters a pass and opportunity to look good – meanwhile, the Wanaque reservoir they are sampling for 1,4-dioxane receives millions of gallons of polluted water pumped from the Passaic River! Why not sample for EDC’s and pharmaceuticals in Passaic & reservoir? Meanwhile, the Record ignored the fact that Dupont, EPA and DEP withheld knowledge of direct exposure to cancer causing chemicals from vapor intrusion by 450 families in their own homes for almost 8 YEARS (see the timeline of who knew what when in: The Great Dupont Train-RCRA. In another glaring example of government sitting on or downplaying critical data, this April 2010 DEP Research paper reports on development of regulations to require treatment of over 500 unregulated chemicals DEP found in NJ water supplies – that controversial DEP paper has NEVER been reported on (and note how the links to the citations in that DEP paper are dead). I’ve written about this set of issues so many times in failed attempts to get Record reporters to cover the big story literally right under their noses – the Record’s office sits off Rt. 80 high on a hill right above the Passaic River – that I went searching for an example I’ve not mentioned before. So let me briefly lay out what you should be reading in NJ newspapers in followup stories on the USGS dual sexed fish study. 1. A simple Google of prior USGS research on the chemicals they call “emergent contaminants” reveals a large body of research that documents the problem, conducted over a period of many years. That work is hidden in plain sight. 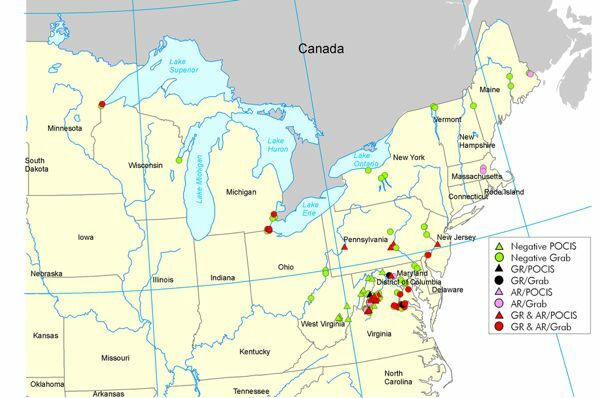 The most recent USGS Wallkill & Great Swamp findings are NOT new and the sources of the problem are known and the public health risks are of concern, particularly in rivers that receive wastewater discharge that are used for drinking water supply. Rivers like the Passaic, which receive the water from the toilets flushed at Bergen Record HQ. 2. Similarly, this US EPA website provides a perfect example of how regulators downplay the problem to protect corporate polluters. Note how EPA limits the discussion to effects on aquatic life, and says nothing about public health risk and impacts. That’s the same approach as a “study the canaries, not the coal miners and never mind regulating the mining industry” I joked about in my earlier hypothetical case. Th EPA webpage was so evasive, it could have been written by Big Pharma. 3. A little more investigation of the issue would reveal a 20 year history of repeated EPA regulatory inaction, a capitulation to Big Pharma. Perhaps you don’t know any of this because Big Pharma is one of the most economically and politically powerful corporate interests in NJ. 4. But let me drill a little deeper to illustrate how pervasive the government fear and protection of the Big Pharma corporate polluters really is. First of all, the title leaves out a critical fact that the study focused on PHARMACEUTICAL manufacturing facilities. Was USGS afraid to say that? … Maximum pharmaceutical concentrations in effluent samples from the 24 WWTPs that do not receive discharge from PMFs rarely (about 1 percent) exceeded one part per billion (ppb). By contrast, maximum concentrations in effluents from the two WWTPs receiving PMF discharge were as high as 3,800 ppb of metaxalone (a muscle relaxant), 1,700 ppb of oxycodone (an opioid prescribed for pain relief), greater than 400ppb of methadone (an opioid prescribed for pain relief and drug withdrawal), 160 ppb of butalbital (a barbituate), and greater than 40 ppb of both phendimetrazine (a stimulant prescribed for obesity) and carisoprodol (a muscle relaxant). Shoot, we may soon need prescriptions to swim in the river! Jeff Tittel’s famous one liner “Viagra Falls” to describe the Passaic is no joke. So I hit the link to read the full paper. Because the USGS conducted a national study and because NJ is a big pharmaceutical state, I wanted to see if any NJ rivers, sewage treatment plants, and pharmaceutical manufacturing facilities were included in the study. There were none in NJ, but there were several in New York state. I was curious to find out exactly who these corporate polluters were and where these facilities were located and – after several links and database searches – I managed to find the supporting data. 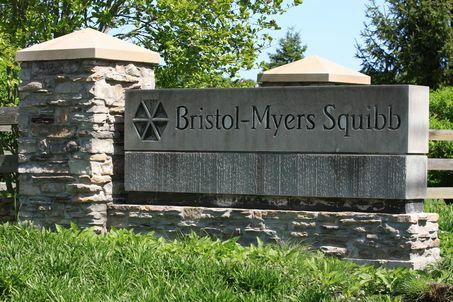 I’ll be damned – the supporting data did not disclose the names of the pharmaceutical manufacturing plants, the sewage treatment plants, or the stream where these high levels of drugs were found. The people who live near those streams, whose drinking water wells may draw from those streams, whose children and pets play in those streams, and those who fish in those streams have a right to know this information. Those that work on developing legislative and regulatory reforms to reduce the risks of these chemicals deserve to know this information to hold the pharmaceutical industry and wastewater treatment plants accountable. This information is public and should not be masked by USGS scientists. That kind of “supporting information” only protects corporate polluters. I knew that government protected polluters in most regulatory and risk assessment work, but now they are even protecting the corporate polluters in scientific investigations. Where are our intrepid journalists – those brave guys currently hammering EPA on Ringwood – in writing these stories? 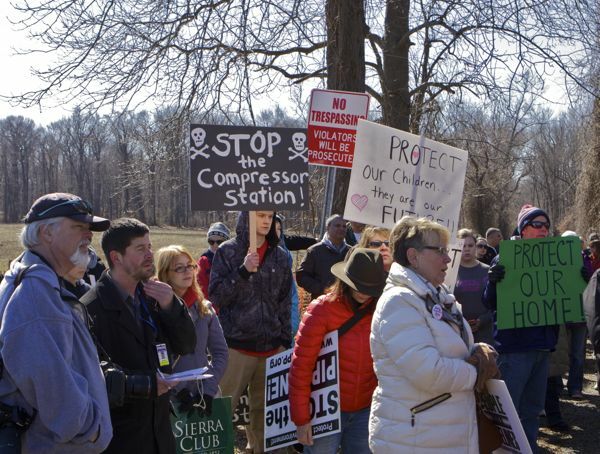 When the righteous prosper, the city rejoices ..
Pastor Sparling spoke passionately about how the NJ Natural Gas Pinelands pipeline and compressor station – to be built less than 1/2 mile away from his Church and daycare facility – would undermine his stewardship mission and duty to protect the families and children of his congregation. He noted that no one in the City was rejoicing about the pipeline and called the protesters righteous. I thanked him afterwards for his remarks and he condemned the pipeline project in no uncertain terms, calling it “evil”. Amen Bro. 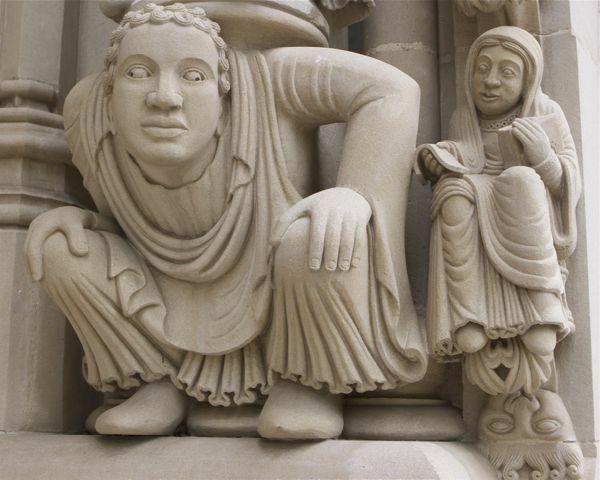 That is a refreshing expression of the kind of visible moral leadership that has been so lacking in liberal institutions, particularly the church. 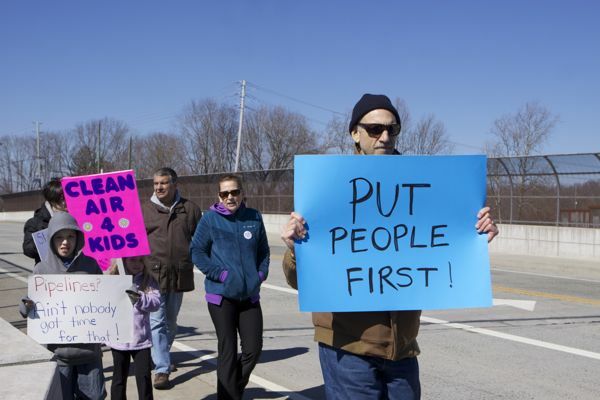 The protest was largely self organized by local residents in Bordentown, Chesterfield and North Hanover – it was an old school event with cookies & hot chocolate and moms with strollers and kids and dogs. 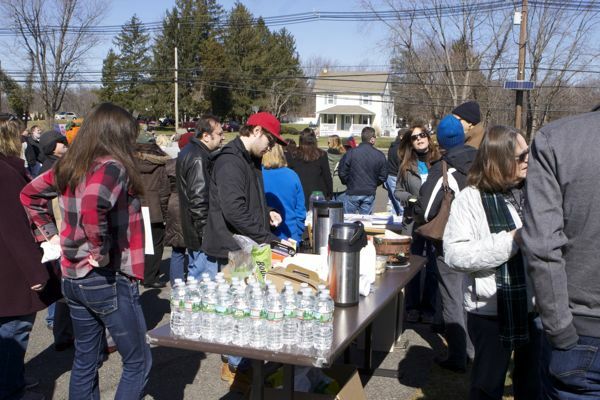 Organizations – including the Pinelands Preservation Alliance, Sierra Club and Food and Water Watch – played minor supporting roles. Protesters marched from the church east on Rt. 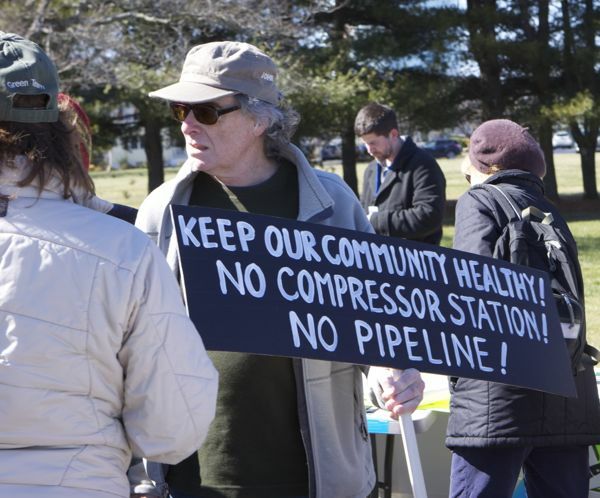 528 to the compressor station site in Chesterfield. If nothing else, the scores of folks who marched today show that the anti-pipeline, anti-fracking & climate movement is mainstream and has a momentum of its own. 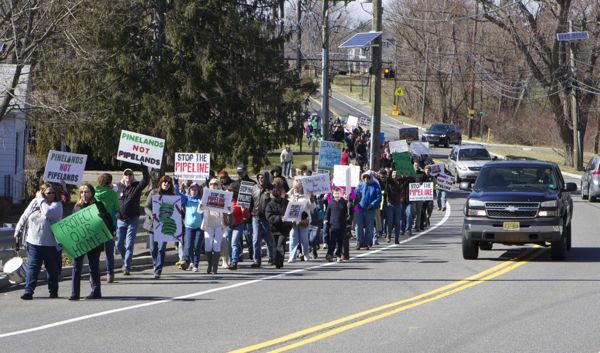 The greedy corporate energy moguls, corrupt politicians and their captured government bureaucrats in places like BPU, DEP and FERC must be sweating bullets, as authentic grassroots movement momentum builds. These are not your radicals. 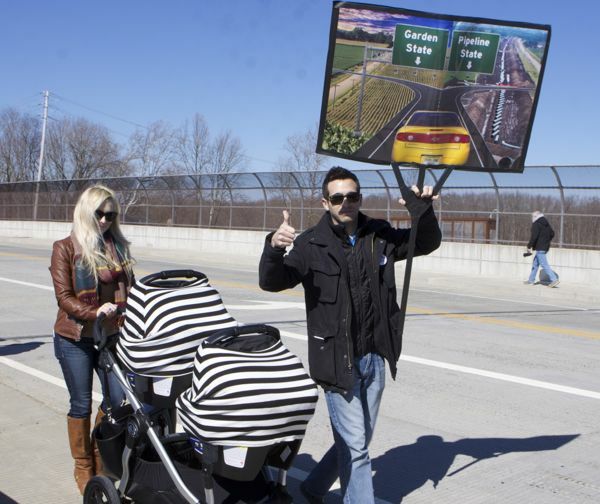 When these folks feel compelled to hit the streets in protest, the Revolution is not far off. (this is part nine of our look at the DEP’s proposed Sparta Mountain “Forest Stewardship Plan” which would significantly expand logging on the mountain. Here are links to read part one and part two and part three and part four and five and six and seven and eight). Which is the more insane proposal: commercial development in iconic Liberty State Park or commercial logging of Green Acres acquired forests in the Highlands Preservation Area? Bear with me as I rehash the Christie DEP’s Liberty State Park fiasco and then explain how it is very similar to what is now going on with the highly controversial DEP’s Sparta Mountain logging plan. 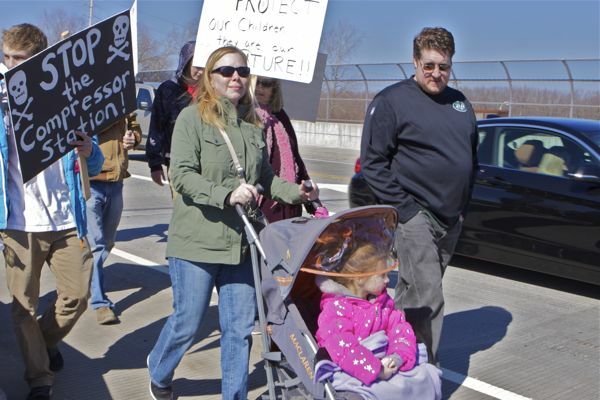 Friends of Liberty State Park – and supporters of NJ’s State Parks across the State – recently were outraged upon learning that the DEP planned to commercialize and privatize Liberty State Park. DEP Commissioner Bob Martin and his politically installed parks management hacks knew that such a move would be controversial and would never gain public support. So, to evade that controversy and public accountability, they provided a $120,000 grant to the private planning group NJ Future to secretly develop the LSP plan and provide a veneer of legitimacy and political cover for it. DEP provided a grant to New Jersey Future (NJF) to identify and contract with an urban park consultant to test the viability of Liberty State Park as a world class destination. NJF engaged Biederman Redevelopment Ventures (BRV) to conduct this analysis. BRV is the creator of the largest number of private urban redevelopment projects in the United States. BVR interviewed and conducted tours of Liberty State Park with 30 leaders and innovators in the fields of real estate development, event production, hospitality, retail, recreation, and urban planning. Over the course of this process, a picture of the practical uses for Liberty State Park has emerged, and BVR was presented with more than 20 “big ideas” from these accomplished experts. BRV’s report is included in the Appendix. Then, NJ Future ducked a legislative oversight hearing and had to make excuses for it. The park currently has two restaurants and a marina, but as part of Gov. Chris Christie’s “sustainable parks” initiative, the state is exploring ways to make Liberty State Park profitable. Reports have said the park operates with an annual loss of $500,000. OK – now that we understand the dynamics and Christie policy that led to the Liberty State Park disaster, lets now turn to the Sparta Mountain logging scheme. We start at the beginning, which – similar to how the LSP disaster originated in a flawed policy – was Gov. Christie’s DEP Transition Report. That Report made a series of radical recommendations, among other things regarding economic development of natural resources and management of State lands. The key player was a Transition team member Anthony Mauro, who represents a group of economic interests and right wing ideologues that range from farmers, fishermen, hunters and “mudders” (ORV) to commercial logging, professional foresters, gun manufactures, recreational vehicle industry, and the National Rifle Association. They call themselves the “NJ Outdoor Alliance”. 5) Natural Resource Stewardship: Establish a comprehensive and strategic approach toward public lands management, forest stewardship and management of Threatened and Endangered species habitat. Issue: The State’s efforts toward proper management and conservation of natural resources have been lacking. As mentioned earlier, the DEP has increased its own responsibilities in other areas, and the Legislature has placed new, unfunded mandates that do not pertain to the management of natural resources, which has ultimately forced the Department to neglect this area. Furthermore, shortsighted policies have limited the effectiveness of the DEP to protect species habitat, actively manage forests and efficiently preserve land. Recommendation: The DEP needs a renewed focus on natural resource management and conservation. The DEP must research the feasibility of a self-sustaining Department of Natural Resources or other solutions that raise this issue area to the same level of importance as other areas overseen by the Department. Furthermore, the DEP must practice stewardship of forests and threatened and endangered species habitat. Finally, the DEP must take steps to more efficiently preserve land and be a better partner with agriculture. Create a task force of biologists, legislators, foresters, environmentalists, DEP personnel, Department of Agriculture personnel, business persons and representatives from the United States Fish and Wildlife Management Assistance Team to perform a feasibility study for creating a revenue oriented, self sustaining Department of Natural Resource Conservation or other potential solutions to better focus the State’s efforts on natural resource conservation. Transfer all real estate closures (Green Acres, DOT Rights of Way, farmland preservation, etc.) to the Treasury Department’s Division of Property Management and Construction to streamline the closing process, create consistency and eliminate costly and unnecessary delays. Establish a comprehensive public lands management strategy that includes forest stewardship and management of species habitat. There needs to be a recognition that agriculture, like every other business in New Jersey, has been overregulated and burdened by DEP rules. Farmers should be recognized as stewards to the land and treated as partners in land preservation not potential polluters. Revenue generation should be maximized through the use of concessions, camping and park rentals and forest management. The objective of Mr. Mauro and his corporate bosses, hunters, loggers and right wing gun nut/NRA and developer friends was to assure that the Landscape Project was NOT used a a basis for regulatory protections of habitat. • Immediately suspend the inappropriate use of the Landscape Project mapping of purported Threatened and Endangered species habitat. Pending rulemaking or other action, apply regulatory protections for species habitat based upon scientifically valid data and documented habitat as defined in DEP rules and statutes. The Landscape Maps were initially designed to provide a map of the habitat that an identified threatened or endangered species needs to survive. DEP is now using Landscape Maps as a regulatory device to restrict all development in mapped areas where threatened or endangered species could theoretically exist. These policy recommendations have all been implemented in the Sparta Mountain logging plan. The attack on the Landscape Project and the sham issue about “mapped areas where threatened or endangered species could theoretically exist” perfectly explains why NJ Audubon de-designated Sparta Mountain as High Conservation Value Forest – explicitly on an allegation that RT&E species habitats were mapped but the species were not present. These are the economic special interests NJ Audubon is working for. 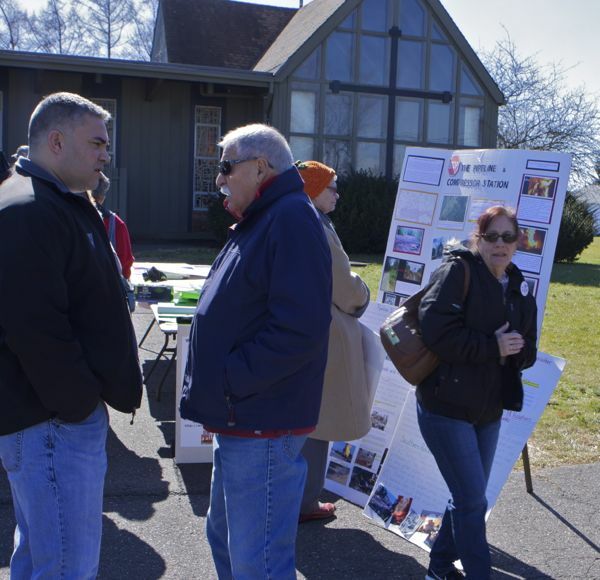 NJ Audubon is serving the same role as NJ Future did at Liberty State Park. They kept the logging plan quietly under cover and below the radar and out of public sight. They flat out lied about involving the public, conservation groups, and local governments in the plan’s development. And they are providing the same political cover and legitimation that NJ Future attempted (but failed to do). 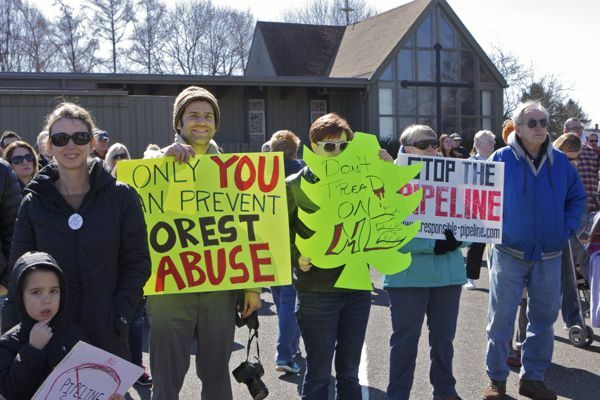 I don’t know if I am more shocked and disgusted by DEP’s plan to log Highlands Preservation Area forests, or the lies of NJ Audubon and their faux “conservation” friends. Truly disgraceful on both counts. Let’s hope that Legislators step up and stop this madness, just like they did at Liberty State Park. [End note: for those who think they know the economic value of everything. The business friendly Gov. Christie issued Executive Order #2 that requires, among other things, that State agencies conduct cost-benefit analysis as part of the policy and regulatory process. Furthermore, DEP Commissioner Martin is a former corporate consultant, with an academic background in economics. New Jersey’s State parks and forests provide total annual gross benefits estimated at between $953 million and $1.4 billion, with a central estimate of $1.2 billion (all figures in 2004 dollars). These annual benefit flows translate into present value amounts of between $31.8 billion and $45.4 billion of natural capital (central estimate $38.5 billion) based on discounting at a societal discount rate of 3%/year over an unrestricted time horizon. Since some benefits could not be quantified, these estimates are believed to be conservative. The value of the goods and services provided by the State parks and forests may change in the future as a result of climate change, nearby land use conversion, and other natural and “anthropogenic” causes. The State parks and forests represent economically productive “assets” which are in many cases irreplaceable. Their preservation and enhancement therefore makes good economic sense and good public policy. Assuming a sustainable management regime, the State parks and forests could in principle generate about $6 million annually in sales of commercial-grade timber. The U.S. Forest Service information on which these estimates are based dates from 1999, and there is therefore a significant degree of uncertainty in these estimates, especially since there are no comprehensive ecological models of New Jersey’s forests. Development of such models could be a worthwhile future research task. The amount of commercial firewood harvested from the State parks and forests is minimal. This report did not attempt to quantify the value of fish and game animals taken in the State parks and forests. Do the math: $6 million from logging versus $1.2 BILLION from preservation. 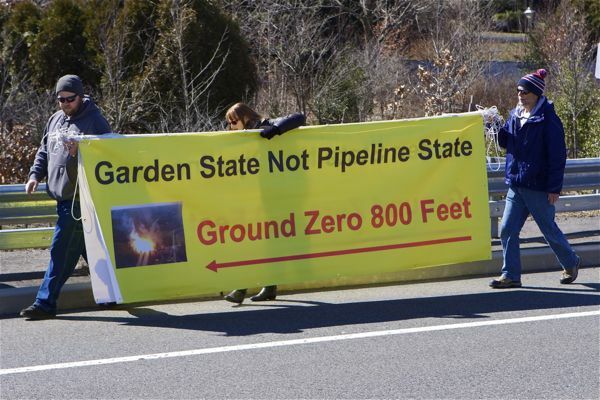 Update – and while the Christie DEP is willing to squeeze money out of park users, campers and boaters, they charge big oil and gas companies just pennies on the dollar to destroy public lands with pipeline and electric transmission ROW. And they promote and subsidize damaging Hot Dog concessions. Is The Legislature Serious About Responding to Problems Highlighted In Flint Michigan? The real agenda driving the emphasis on cost impacts to poor residential users is to justify gentrifying urban redevelopment and privatization of water systems. Yet, despite this well endowed white bread effort, they have completely failed to focus on the issues brought to the fore in Flint Michigan, including: structural racism, poverty, environmental injustice, austerity, unregulated chemicals, endocrine disrupting chemicals, river water quality, wastewater treatment plants, childhood lead exposure, lack of adequate treatment of drinking water, or a host of related urban water and public health issues. (Curious, the Dodge Foundation and its ENGO puppets cried no crocodile tears for poor urban residents when they launched their Combined Sewer Overflow (CSO) campaign, which targets 14 of NJ’s poorest cities and will cost BILLIONS of dollars for marginal water quality improvements. 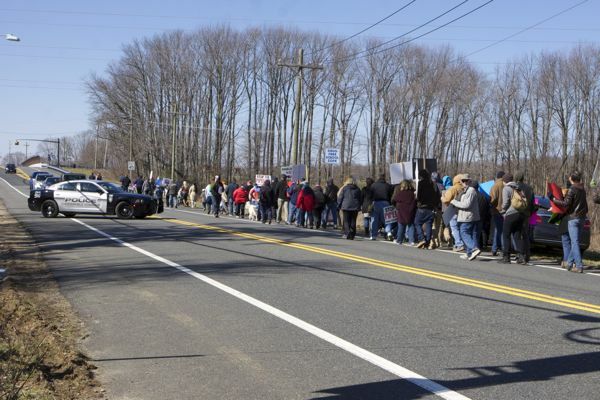 Meanwhile, those same puppets ignored – for decades – the need to upgrade treatment technology at Morris County sewage treatment plants that serve NJ’s wealthiest towns and discharge billions of gallons of inadequately treated wastewater to the Passaic Basin, which is used by downstream urban communities for drinking water. So, for now I will simply bullet those underlying science, policy and regulatory issues that continue to be ignored, just in case Legislators are serious or some intrepid journalist wants to do follow-up stories. 6) outsourcing and industry capture of science. I’ve written extensively about each of these issues, so, until I insert the links to those posts, you can just use the word search function in the top right. [PS – the assumption that poor residential users must shoulder 100% of the financial burden via water bills is flawed – we used to have a robust federal financial capital construction program and NJ’s wealthy suburbs and corporations can subsidize a significant portion of the cost burden.